Veterinary Costs: Where does the money go? Regardless of where veterinarians are in the world, they are amongst the lowest paid professionals based upon education. But why is veterinary medicine so expensive? Dr Mike Pownall explains why. Horses, and especially young ones, are curious by nature. They can be playful and, unfortunately, that play can quickly turn into an accident which results in injury. 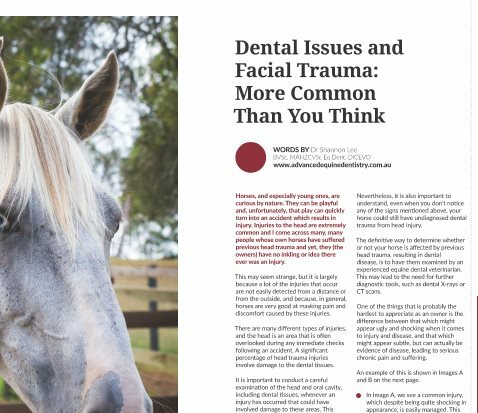 Injuries to the head are extremely common and many people whose own horses have suﬀered previous head trauma have no inkling or idea there ever was an injury. In this article, Dr Shannon Lee gives pointers for what to look for. As dental surgery becomes more complicated, so too do the headaches. 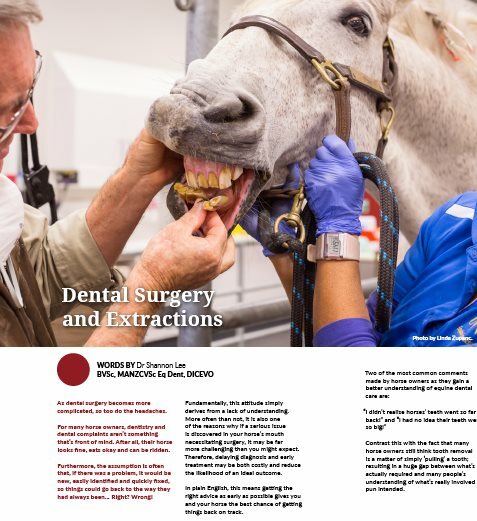 For many horse owners, dentistry and dental complaints aren’t something that’s front of mind. After all, their horse looks fine, eats okay and can be ridden. Furthermore, the assumption is often that, if there was a problem, it would be new, easily identified and quickly fixed, so things could go back to the way they had always been… right? Wrong! 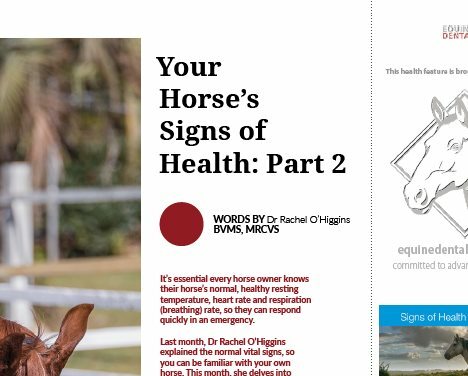 Last month, Dr Rachel O’Higgins explained the normal vital signs, so you can be familiar with your own horse. 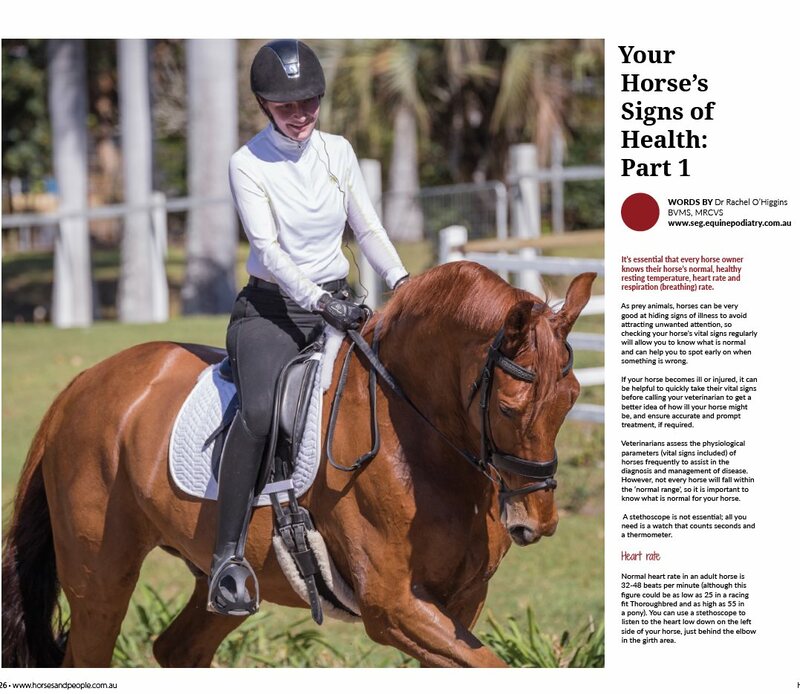 This month, she delves into horse emergencies and how you should respond to ensure the best outcome. As prey animals, horses can be very good at hiding signs of illness to avoid attacting unwanted atenttion. But it’s essential that every horse owner knows how to check their horse’s vital signs regularly - normal, healthy resting temperature, heart rate and respiration (breathing) rate - to ensure accurate and prompt treatment, if required. Laminitis is the inflammation and subsequent detachment of the bond between the pedal bone and the hoof wall. 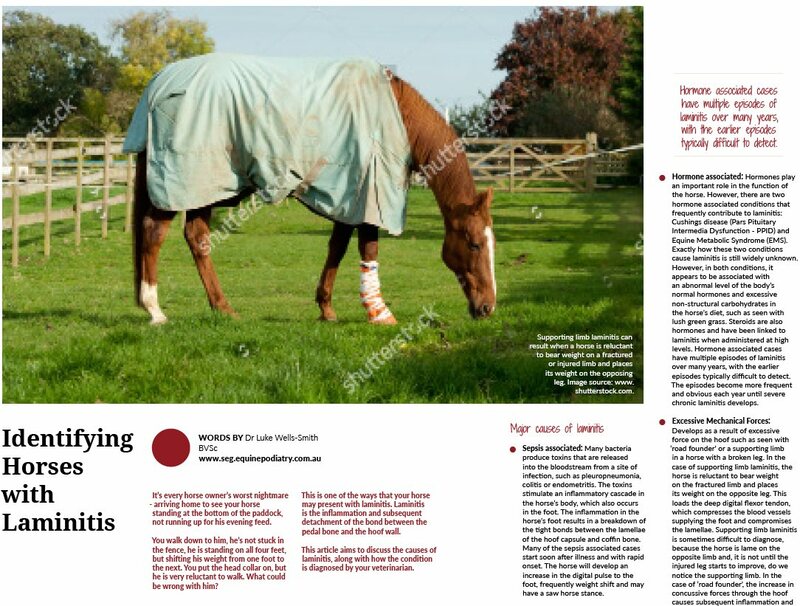 In this article, equine lameness specialist Dr Luke Wells-Smith discusses the causes of laminitis, along with how the condition is diagnosed by your veterinarian. 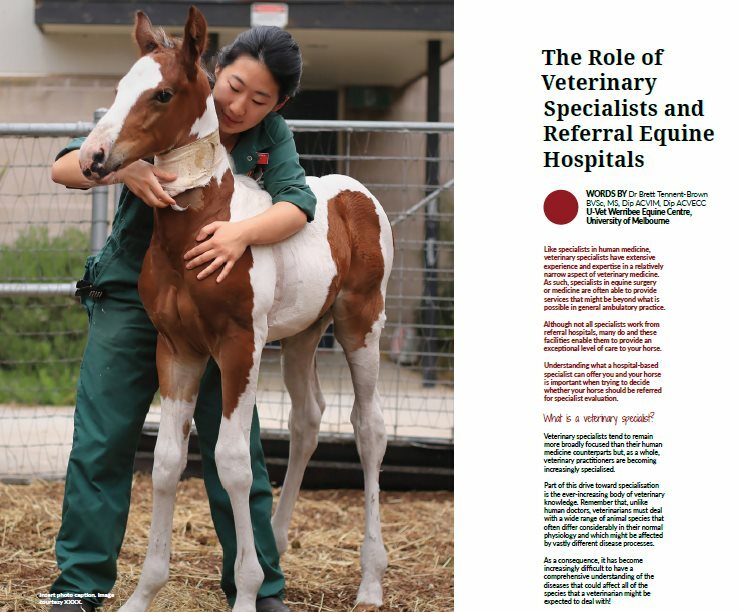 Like specialists in human medicine, veterinary specialists have extensive experience and expertise in a relatively narrow aspect of veterinary medicine, providing services that might be beyond what is possible in general practice. 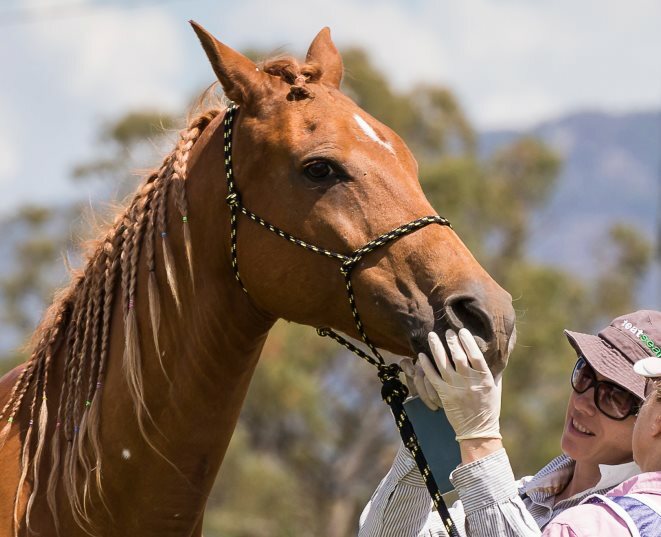 Understanding what a specialist can offer you and your horse is important when trying to decide whether your horse should be referred for specialist evaluation. Dr Brett Tennent-Brown takes us through the details. Despite thousands of years of human domestication, modern horses are still scared little critters trying to avoid being eaten by apex predators. 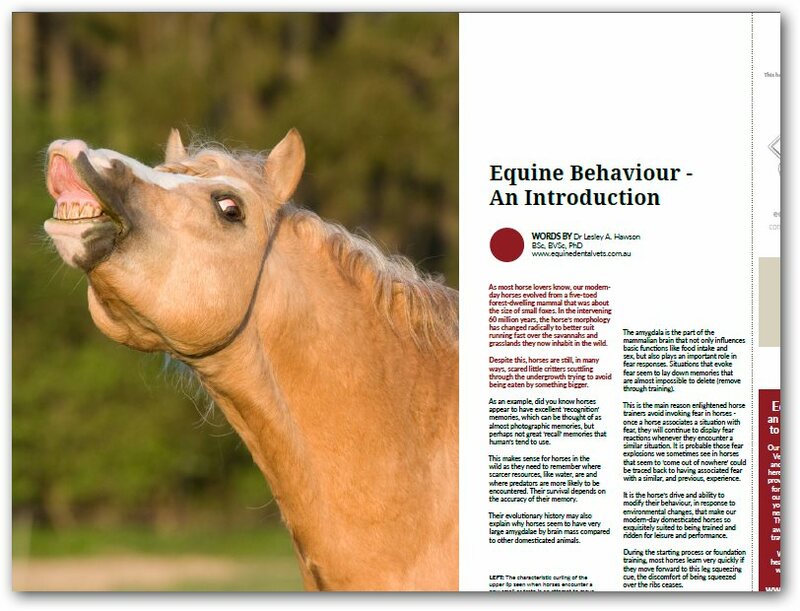 Dr Leslay A. Hawson shows digs deep into the mind and body of the horse, helping us interpret their behaviour better, and therefore keeping you and your horse safe. The modern horse comes in many shapes, sizes and styles. 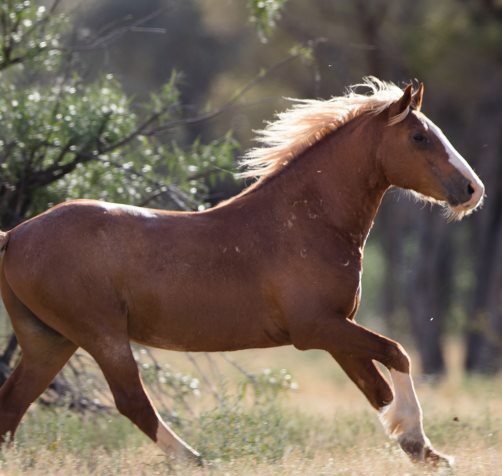 However, it may surprise some people to know that modern horses (Equus Caballus) encompass all breeds - from Miniature horses through to large breeds like the Suffolk Punch, Clydesdale and Percheron. Therefore, they all share the same grass-based diet, and the same dental structure. Dr Shannon Lee digs into the details. Most people are aware of quarantine - a period of isolation where an animal can be tested, treated and monitored for signs of illness. But, the truth is there’s a lot more to importing a horse than quarantine. 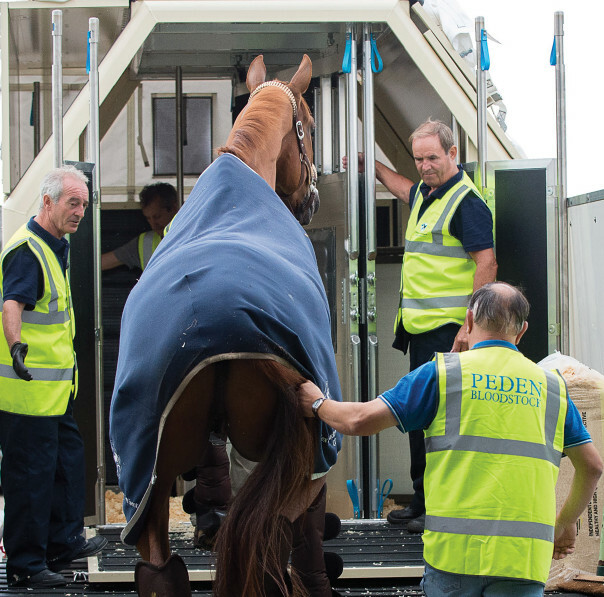 Dr Amy Little takes us through the ins and outs of horse importation this month for our EDV Article in Horses and People magazine.